One of my blogging goals for this year is to work on whittling down my TBR pile of review copies from last year’s Book Expo America. 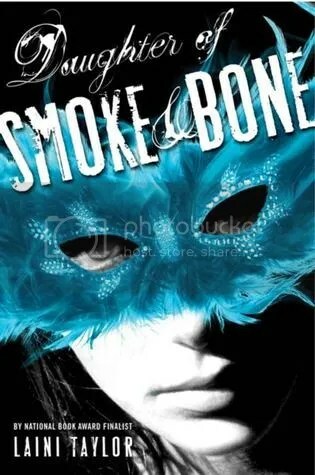 From the moment that I began reading Laini Taylor’s “Daughter of Smoke & Bone,” I was enthralled. Taylor builds a magical world reminiscent of Neil Gaiman’s “Neverwhere“–simultaneously menacing and full of wonder. Karou is a teenage art student growing up in Prague. She fills her sketchbooks with drawings of chimera, half-human half-animal creatures. Karou’s friends believe that she’s eccentric, evidenced by her stories, her blue hair, and her tattoos, but Karou has a secret. Her hair really does grow that way, and the chimera that she draws just so happen to be her adopted family. Every week, she slips through a door into another world, where a chimera named Brimstone traffics in teeth and wishes. His shop is guarded by Issa, who makes customers wear one of her snakes around their necks to keep them from stepping out of line. Karou runs errands for Brimstone in the human world, but is forever frustrated by his vague answers to her questions about his world. One day, an angel falls from the sky. He’s on a mission as part of an ancient war between the angels and the chimera. When he sees Karou, he is captivated by her, feeling himself drawn to her even though she is associated with his enemies. Karou finds herself caught between two sides in the battle between the angels and the chimera. She envisions a world of peace, where the two sides live in harmony. Is she too late to stop the carnage and protect the people she loves? I can’t stop gushing about how much I love this book. Karou has such a strong personality and sense of wonder, and it’s almost tragic to see that innocence get stripped away as she learns more about the ultimate price of magic. She realizes that Brimstone’s vagueness was a way of protecting her innocence and giving her a childhood, as generations of war have destroyed the fabric of both chimera and angel society. Regardless of who is right or wrong (and we see very clearly that the chimera are justified in their revolt against the angels), we see the very real impact of a prolonged war that has jaded society to the point that a normal childhood or a walk in the city sound like mad and unreachable dreams. As a YA novel, “Daughter of Smoke & Bone” tastefully tackles difficult subjects that teens face without being preachy about them. For example, Karou muses about regretting having slept with her ex-boyfriend when they were dating. She realizes that it was a mistake and that he was a complete jerk, bragging to his friends about an experience that she had expected to be private and special. At the same time, she learns from her mistake, and her life is in no way over. At another point, we see a character realize that she’s involved with someone because of his social position and the expectation that she’ll go along with it rather than because she actually likes him. Later in the book, we see a completely different kind of romance develop, where two characters are lovers, but have a respectful relationship that is enhanced by their physical connection. The author’s portrayal of teenage sexuality was refreshingly honest, and I liked that the emphasis was on mutual consent, respect, and trust, rather than on the flat stereotype of a fantasy prince. If you love YA novels, magic, or books that make you think about the difference between how the world is and how it could be, then “Daughter of Smoke & Bone” is pure gold. Laini Taylor weaves a world inhabited by rich yet tragic characters, and I look forward to seeing them make their dreams a reality. So, I realize that I’m a bit late to the party on this one. I’ve been avoiding reading it because of what George R. R. Martin’s books do to me. The problem? One all-nighter isn’t enough to finish the book. I get so involved with them that I can’t put them down, then turn into a zombie librarian. I was going to wait to read “A Storm of Swords” till I was completely done with grad school, but then some assholes on Twitter said something about a Red Wedding, and I realized that I had to read it now or everything would be spoiled. If you haven’t read any of the books in the series, stop reading now and instead go to Game of Thrones. This review will contain spoilers from the first two books. Normally I’d write a paragraph or two summarizing the book, but I can sum it up in two words: Everyone dies. Well, not everyone. But if you’ve read the first two books, you know that nobody is safe and that if you get too attached to someone, he/she will die a brutal death. 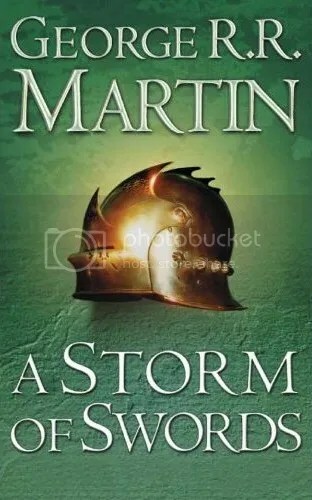 “A Storm of Swords” is probably the bloodiest book in the series thus far. Be warned. 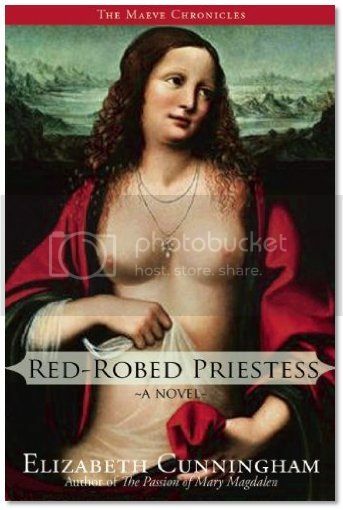 One of the things that I found interesting in this book was the role that religion plays. Each culture or group has its own religion–the Old Gods, the Seven, the Lord of Light, etc. Many of the religions seem to contradict each other, and yet members of them have magical powers. We’ve got Melissandre and her freaky dark magic that often calls for blood sacrifices, and it has been demonstrated to topple kings. Her magic seems to be a part of the same system as the Wight-Walkers and the Others of the North. Then we’ve got Bran and his wolf dreams, as he journeys North on a voyage of self-discovery, showing that not everything above the Wall is bad. Then there’s the Wall itself, which seems to be imbued with the power of the Old Gods. The list goes on. There are a lot of seemingly conflicting mythologies, and I’m curious to see whether one wins in the end or if they are all part of a larger worldview that will be revealed as the story progresses. As I’m reading, I’m never entirely sure who I’m rooting for. I’ve always hated Catelyn Stark, because she has this holier-than-thou attitude while being mean to Jon Snow. I can’t forgive her for that; you just don’t blame a child for his parents’ mistakes. At the same time, she’s emerged as a major political player, which I didn’t expect. Not a ruler, obviously, but still a force to be reckoned with. Then there’s Stannis–much as Melissandre’s magic just reeks of evil, he’s the only one (aside from the Night’s Watch) that seems to give a damn about what’s going on in the North. And, much as the Lannisters are annoying, their rule had an aura of stability to it before Renly, Stannis, and Robb decided to start a war. It wouldn’t bother me so much if there were some sort of driving ideological difference between them, but there’s not. And Daenerys? Well, she’s off with her dragons, freeing slaves and building herself a kingdom. That’s very noble, but I think staying where she’s at is probably better than uprooting her people and marching off to Westeros. If you’ve read and enjoyed the first two books, you’ll definitely like this one. Certain characters get their comeuppance, and it’s quite satisfying. At the same time, you’ll be left with more questions than answers. I’m going to wait a while before starting the fourth book (I haven’t caught up on sleep yet), but I’m looking forward to seeing what happens next. I received a copy of John Marco’s “The Forever Knight” from TLC Book Tours in exchange for an honest review. When “The Forever Knight” begins, the revered knight Lukien is an old man. He’s got his share of battle scars, and only has one eye. 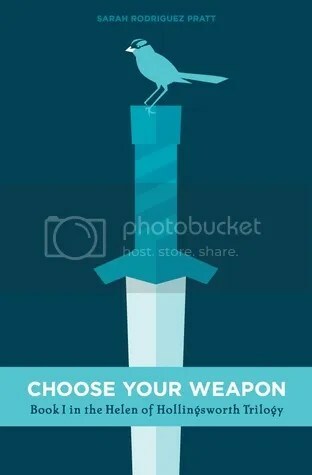 However, he’s kept alive by a spirit that dwells within his magical sword. Lukien has lost the love of his life, and he’s bored with his immortality. He feels as if his life no longer has a purpose. In an attempt to find new meaning, Lukien sets out with a young girl named Cricket to find out the secrets of her childhood in the war-torn land of Akyre. Meanwhile, a tyrant king and an undead dragon may be the challenge that Lukien needs to rediscover his inner strength. “The Forever Knight” is actually the fourth in a series, but don’t let that dissuade you. The book can be read and understood without reading the books that came before them. I haven’t read the first three books, and I was completely immersed in the story before I’d even gotten fifty pages in. The author does a good job of setting the scene and explaining the events of previous books, but by using Lukien’s brooding as a way to do it, the recap of previous books becomes an organic part of the story. 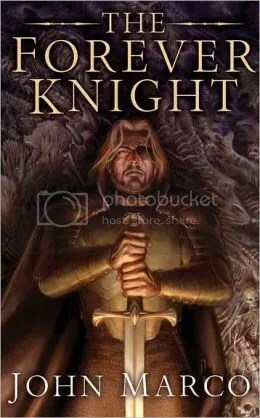 One of the most interesting things to me about “The Forever Knight” is that I didn’t find Lukien to be terribly likeable, even though I enjoyed the book tremedously. He’s a bit whiny and makes a lot of stupid mistakes which tend to hurt those that he cares about. He can judge people harshly and he can be self-centered. At the same time, Lukien’s personality makes the book more realistic and gives it more depth. He’s got plenty of flaws, even though he does genuinely care about protecting the people he cares about. There’s a difference between his intentions and execution, and that’s part of what it is to be human. Considering that Lukien is now immortal, it keeps him from becoming boring or too god-like. Another thing I liked about “The Forever Knight” was the presence of GLBT characters. Without getting into too much detail, Marco’s gay characters are presented as complex human beings who are both flawed and heroic. Actually, the description “flawed yet heroic” could sum up most of Marco’s characters, which was one of the factors that impressed me so much about his writing. A word of forewarning–people die in this book. People die in the previous books. John Marco isn’t afraid to kill off his characters in tragic and painful ways. There’s one particular part of the book that, if you’re at all like me, will make you cry. At the same time, I was pleased with the way that the book ended. Overall, I’d highly recommend this one if you’re looking for a new fantasy read. I was extremely excited to be offered a review copy of Jane Kindred’s newest novel, “The Midnight Court.” I reviewed “The Fallen Queen” back in January and enjoyed it tremendously, and ever since then I’d been looking forward to the next book in the series. “The Fallen Queen” was about an angel named Anazakia who falls from Heaven into modern-day Russia after her family was murdered Romanov-style. Anazakia’s story is an imaginative parallel to the familiar legend that Anastasia Romanov might have escaped when her family was murdered, and I appreciated the level of detail that Kindred put into the setting. Reading “The Fallen Queen” made me miss Russia, and I was glad that “The Midnight Court” was able to evoke the same sense of nostalgia. “The Midnight Court” begins as Anazakia’s baby is kidnapped. She fears that Aevil, the witch who killed her family, might be involved, but the trail seems to be cold. Anazakia seeks help from the syla, fairies who appear with the changing of the season. The first book seemed to parallel the story of the Romanovs. This one goes a bit further, and the events in Heaven are reminiscent of the Bolshevik Revolution. As with “The Fallen Queen,” I appreciated that the author did her research when it came to Russian culture. The magic is in the little details, like the food, the geography, going to a dacha, or even the fact that people wear slippers called tapochki whenever they go into a home or apartment. Most books that I’ve read that are set in Russia don’t take the time to mention something like tapochki, but even though it seems insignificant, it’s little cultural things like that that make this book stand out so much. One of the other things that I love about this series is the love triangle. Yes, you heard that right. It’s adorable. There’s Belphagor and Vassily, who are a gay demon couple. Vassily is also bi, and he and Anazakia have a thing. Everybody gets along for the most part. It’s so unconventional, and it makes me happy. I get tired of reading about triangles where there are two guys, one girl, and one of the guys ends up having his heart broken in the end. It’s refreshing to read something that allows for other possibilities instead of playing into the same tired tropes. 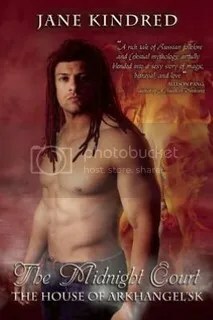 The only thing that really bothered me about this book was the cover, because it makes the book look like a romance novel rather than epic fantasy. 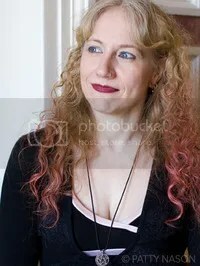 Jane Kindred’s writing reminds me a lot of Jacqueline Carey. It’s epic fantasy, but there are elements of romance and sexuality throughout the book that one wouldn’t typically expect to find. There’s also a lot of sexual violence, so if that bothers you, then you might want to steer clear. However, if the idea of a parallel supernatural world that incorporates Russian history and culture sounds appealing, then this one’s definitely for you! I’m including this book in the Readers Imbibing Peril Challenge, as it contains elements of the paranormal/supernatural.